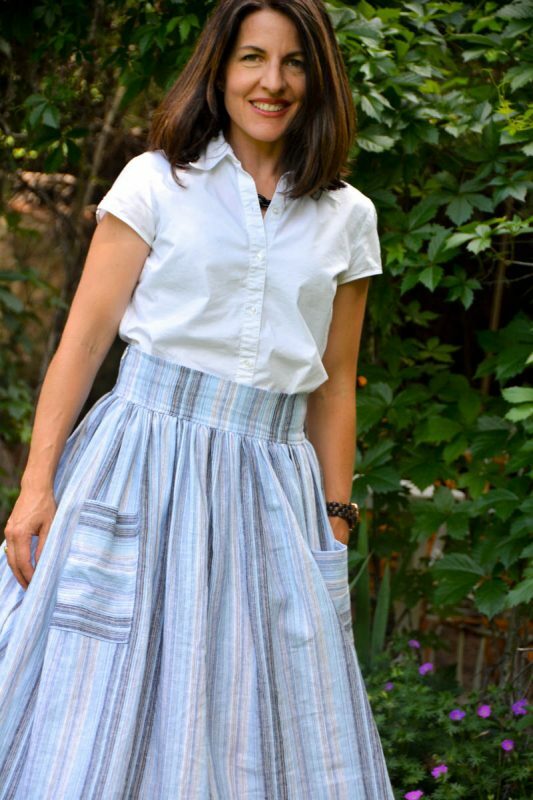 Anneliese of Aesthetic Nest loves the midi skirt trend! Especially full midi skirts, because they are so easy to wear. Comfortable and figure flattering. 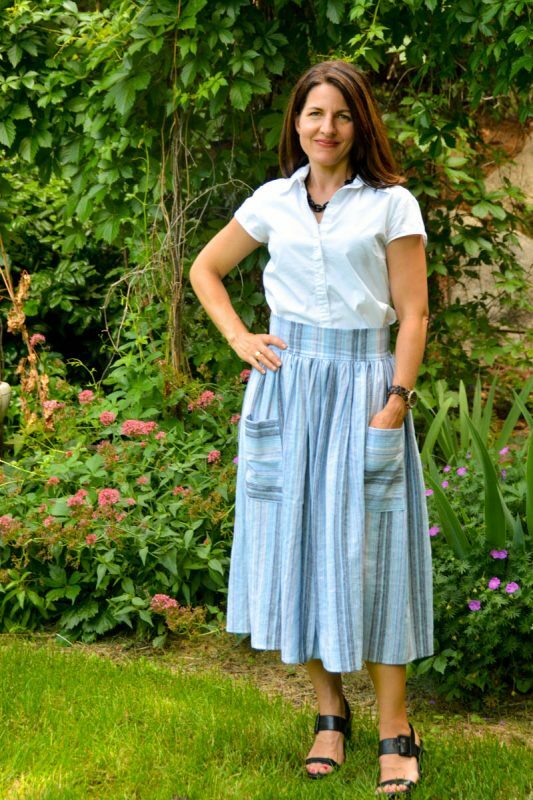 Linen makes a gathered midi skirt perfect for summer—lightweight and breezy. It can be casual paired with a tee shirt and flipflops, or dressed up with some strappy heels and a blouse. It’s so versatile! 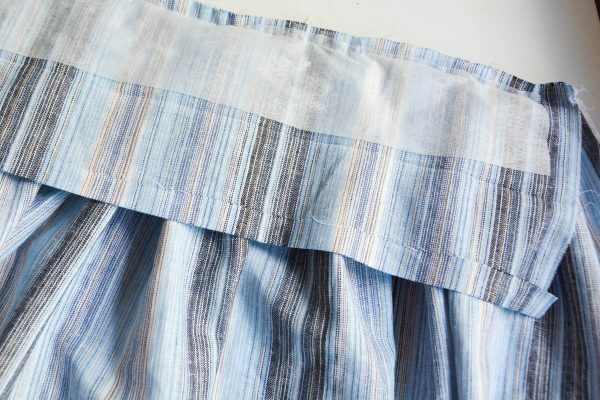 This tutorial is based on a few of your own measurements, which means there is no pattern to draft and cut out, so you can have a new skirt in no time. 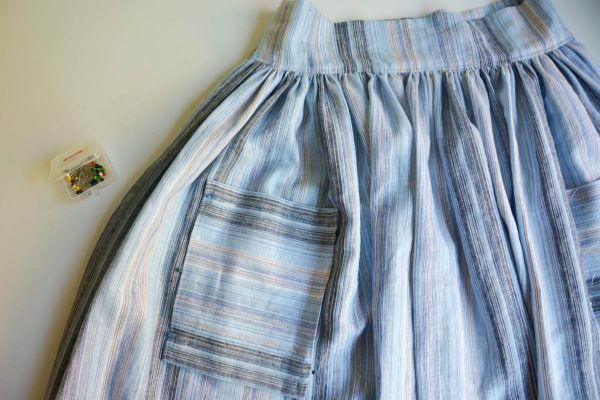 And with pockets for your keys and phone you’ll be reaching for this skirt all summer long. 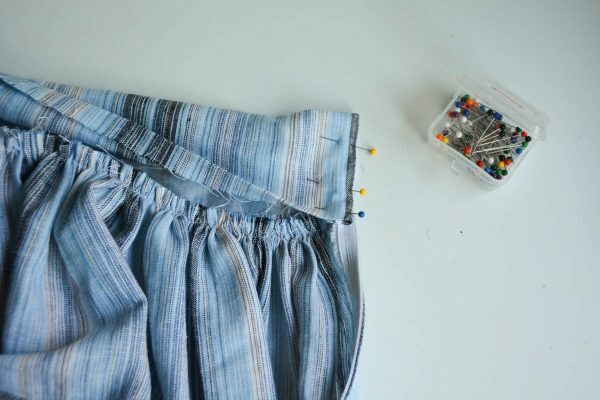 To make a gathered midi skirt with patchwork pockets you’ll need to start with a few measurements and then cut your pattern pieces accordingly. 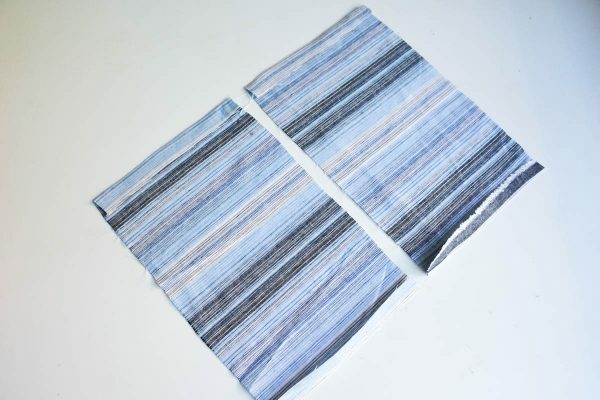 Cut 2 skirt pieces L + 1″ x 58″- 60″ width of fabric. 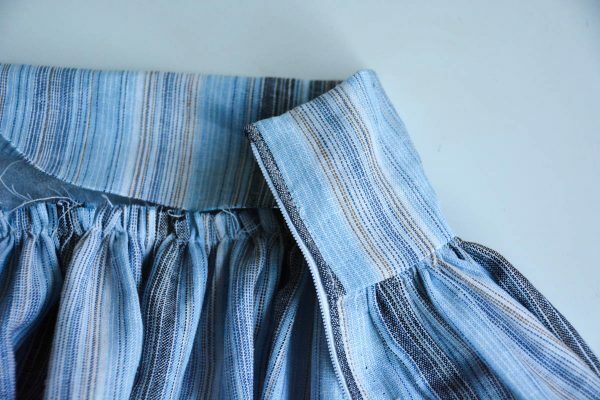 Fold the waistband piece in half lengthwise, wrong sides together, and press. Open it out and press one of the long edges in wrong sides together .5″ towards the center fold. 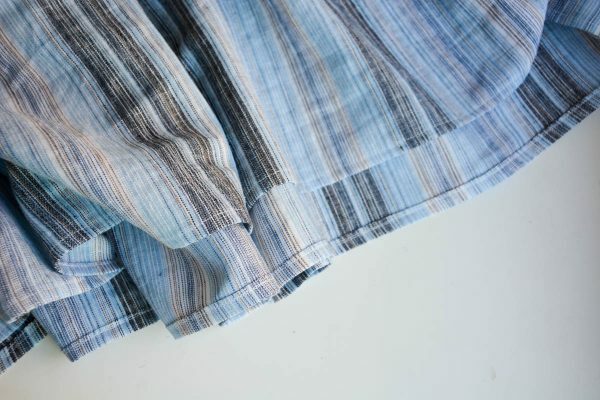 Cut a piece of interfacing and fuse it to the wrong side of one-half of the waistband as shown in the photograph below. 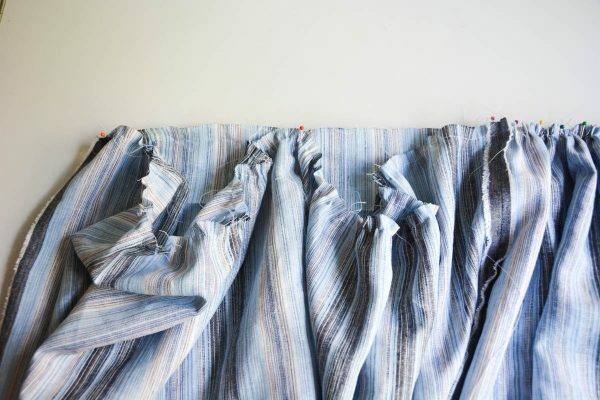 (The half of the waistband that is not interfaced will act as the waistband facing.) Set the waistband aside. 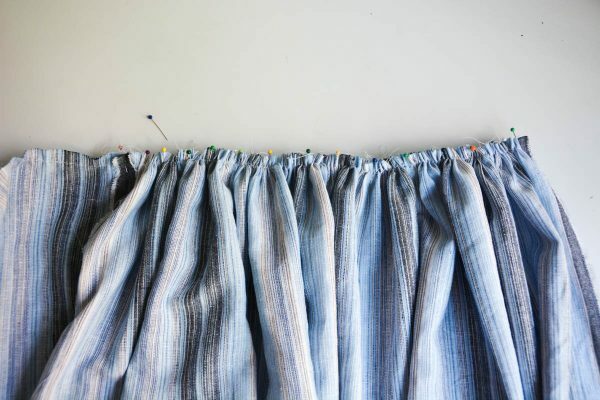 Place the two skirt pieces right sides together and pin along one of side seams. 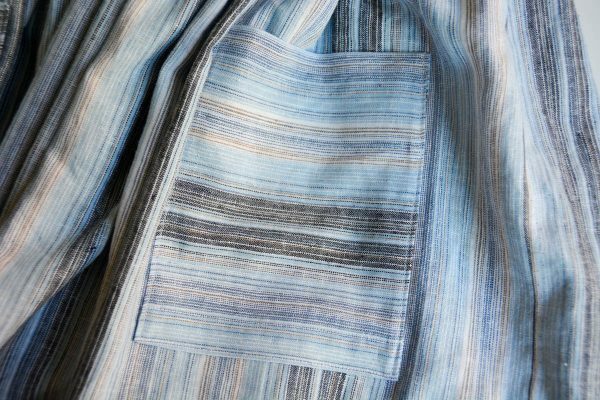 Stitch this side seam using a .5″ seam allowance. Gather the top of the skirt pieces. 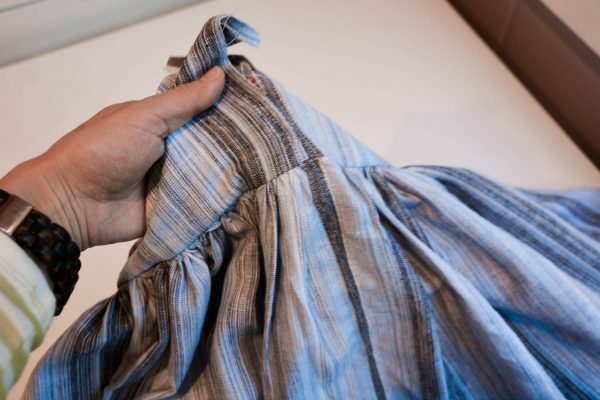 Fold the waistband in half so the short edges meet and mark the center fold with a pin. 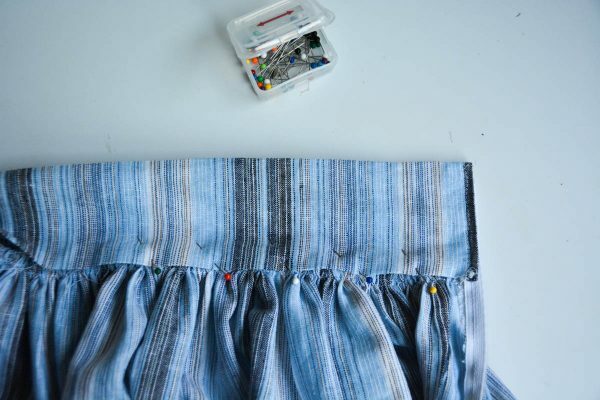 Use two other pins to mark .5″ in from the ends of the waistband. 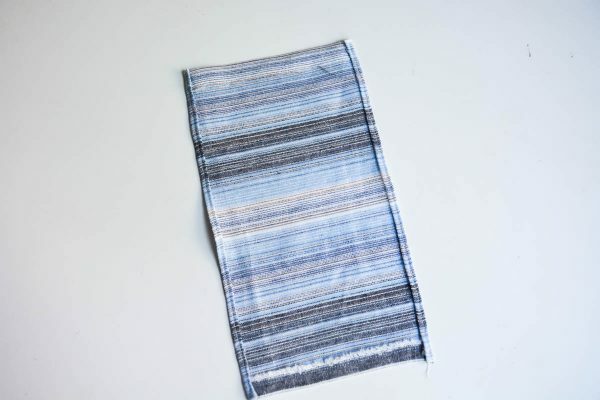 Pin the skirt to the interfaced side of the waistband, right sides together, matching the stitched side seam with the center pin on the waistband and the raw edges of the skirt pieces to the pins marking .5″ in from the ends of the waistband. Adjust the gathers to fit. 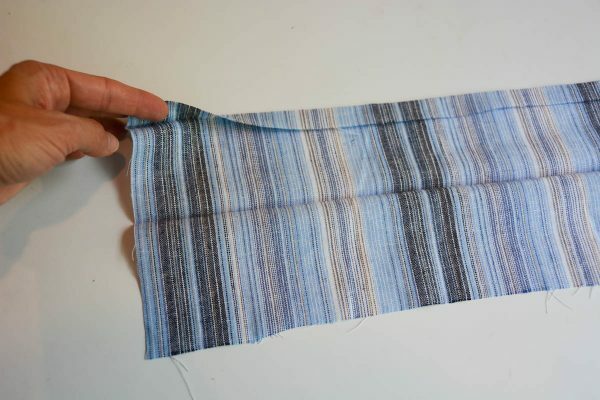 Stitch the skirt to the waistband using a .5″ seam allowance. Press seam allowances up towards the waistband. Pin the second side seam of the skirt matching the waistband seam. 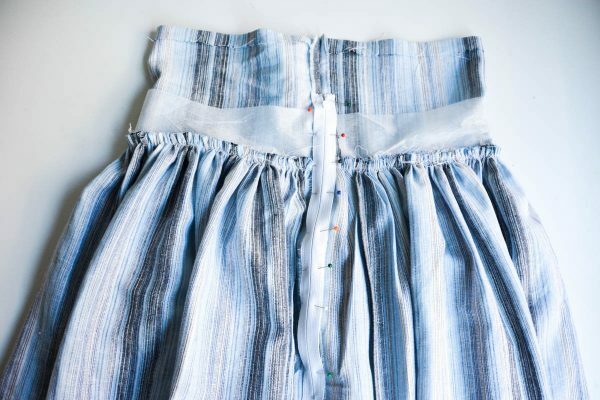 Using a .5″ seam allowance, baste from the top of the waistband to 10″ below the waistband seam, using your zipper as a guide for the length, and then stitch to the bottom of the skirt. Iron the seam allowances open. To install the zipper, lay the zipper right side down on side seam aligning the top of the zipper with the fold of the waistband. 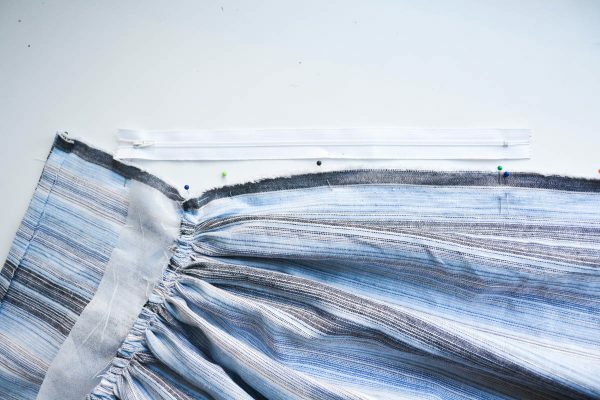 Pin along the side seam. 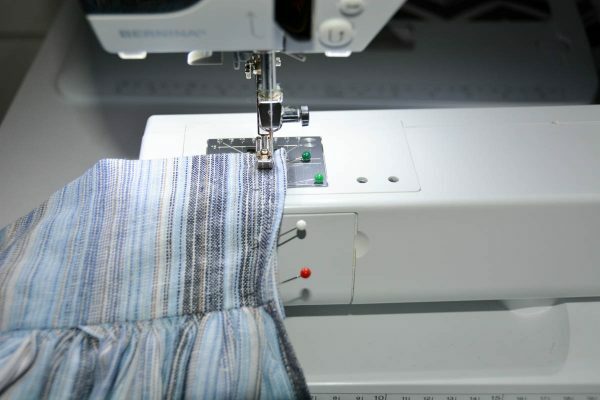 Using a zipper foot or the BERNINA Zipper foot #4, baste the zipper in place. Then on the right side of the skirt stitch the zipper in place, pivoting at the bottom of the zipper to square the stitching. 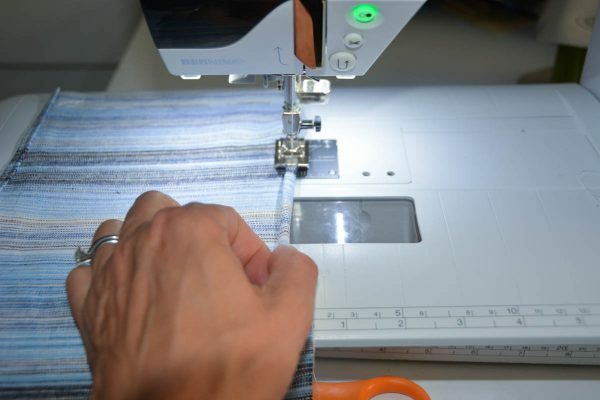 Use a seam ripper to unpick the basting stitches. Fold the waistband facing down, wrong sides together, along the pressed fold and pin the waistband facing along the zipper. 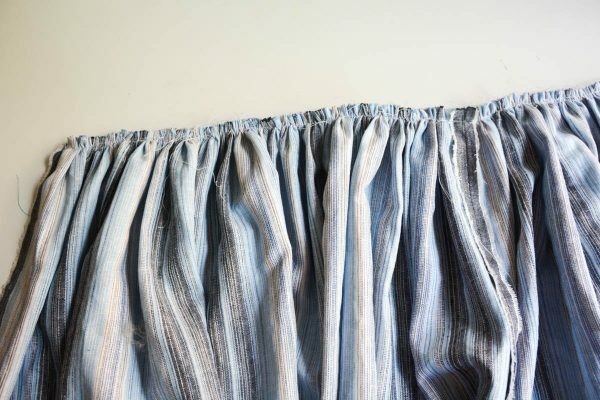 Be sure to have the seam allowances on the waistband facing tucked in. 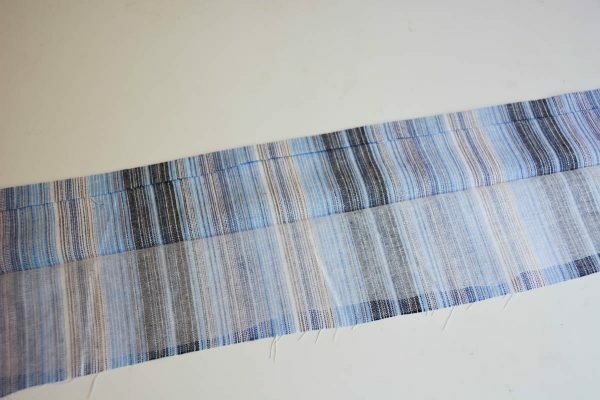 Stitch following the existing stitching lines. Pin the waistband facing in place along the waistband encasing the seam allowances. Stitch the waistband facing down close to the waistband seam. 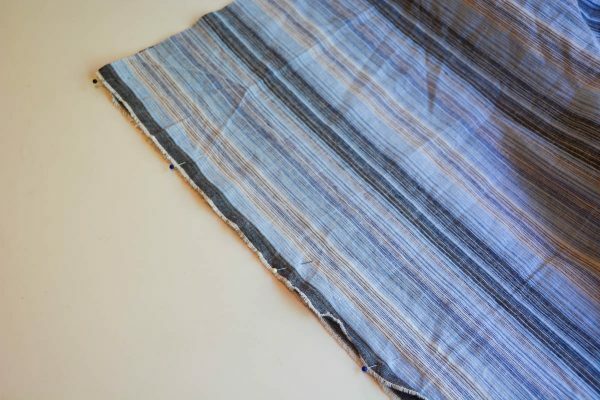 Hem the skirt by turning the bottom edge under .25″ twice and stitching. 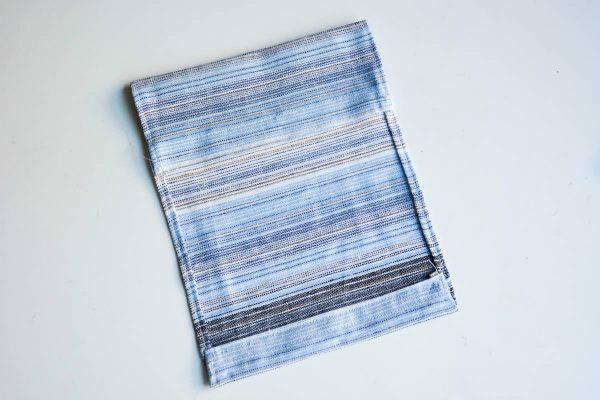 Fold the bottom edge of the pockets up another .5″ and pin. 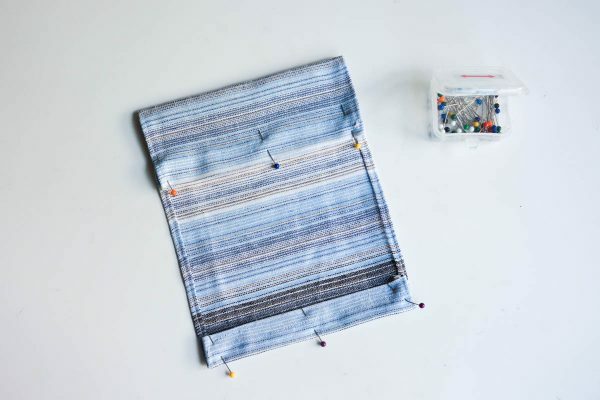 Fold the top edge of the pockets down 3″ and pin. Stitch. 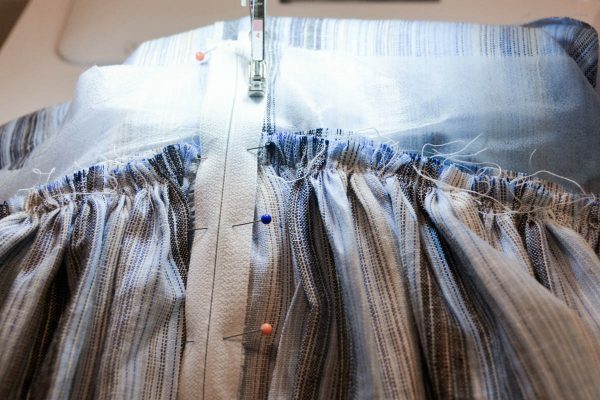 Try on the skirt to determine the placement of the pockets. Pin the pockets in place wrong sides of the pockets to right side of the skirt. Stitch along the sides and bottom of the pockets. You’ve done it! You’ve sewn an on-trend skirt to wear this summer. I hope you enjoy it. Gorgeous! I love this style and can’t wait to try my hand at it. Thank you! 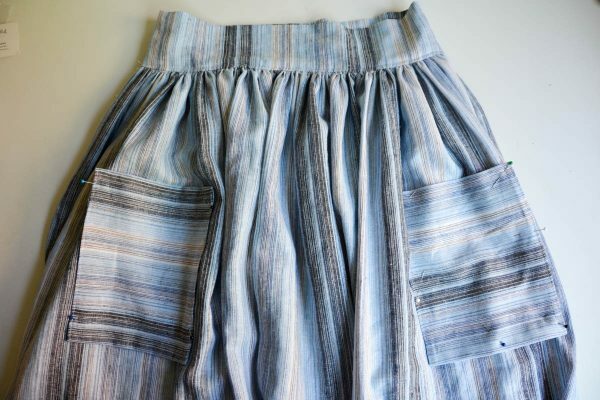 Does this skirt require 2 yards, or 4 yards of fabric? I read the supply list & purchased my fabric accordingly. Now that I’m cutting the skirt pieces, I’m reading that I need two pieces 60″ wide, not one. Do I need to go purchase 2 more yards of fabric to make this work? Thanks! @Samantha: No, you do not need to purchase more fabric. 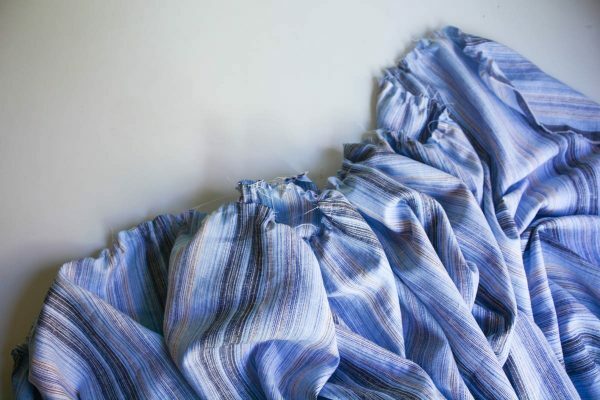 If you have two yards, you have enough to cut the waistband and then 2 pieces each about 30″x60″ for the skirt. Each of the two pieces is about half your yardage, or 1 yard. I hope that makes sense! 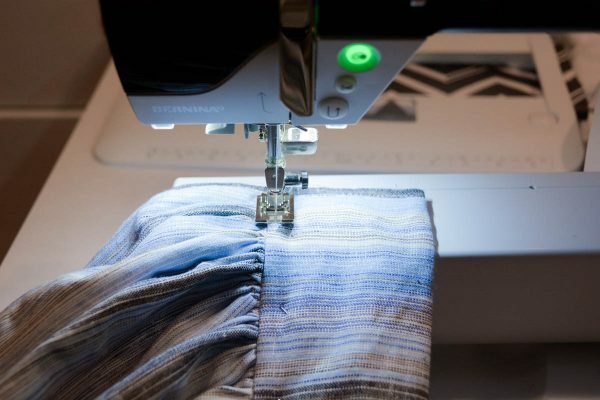 Enjoy sewing your skirt!